I know you are probably thinking why make hamburger buns when they are just so easy to buy. You have the ingredients to make the buns and want hamburgers but have no hamburger buns in the house. You just feel like making them. The taste. 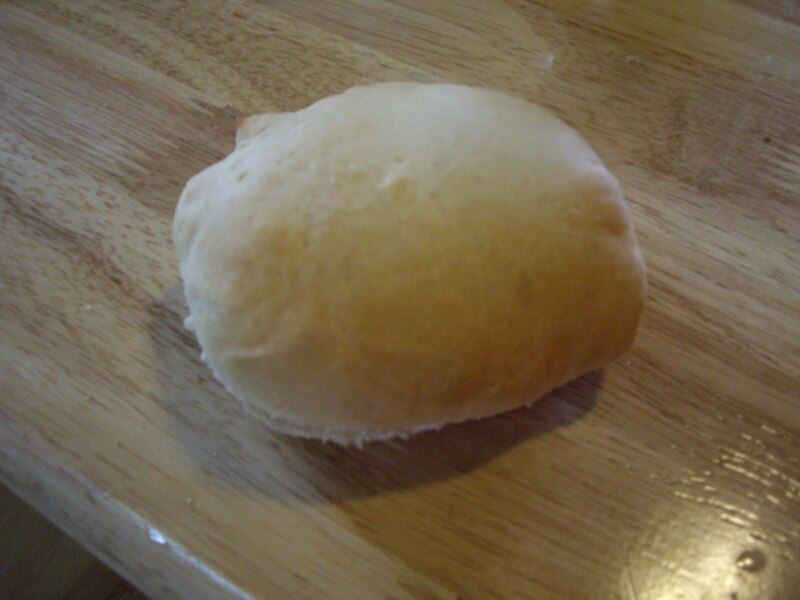 I love homemade buns over store bought anytime. The dough comes comes together pretty quickly. And if you are lucky enough to have a stand mixer with a dough hook it will come together even quicker and easier. With rising times, mixing time, and baking time it will take about 2 hours. In a large bowl mix the yeast with 2 cups of the flour. In a medium saucepan heat the milk, sugar, salt, and butter just until butter almost melts. Add the milk mix and eggs to the flour and yeast. Beat with a mixer on medium for about a minute. Scrape down sides and beat on high speed for 3 minutes. If you have a stand mixer, beat for a couple minutes on medium speed. If you have the stand mixer or mixer with a dough hook, add the rest of the flour, switch to the dough hook and knead the dough til velvety smooth. Otherwise, after beating the dough on high speed stir in as much of the remaining flour as you can. Turn the dough out onto a floured surface and knead til dough is smooth and elastic. That will take about 5 minutes or so. Grease a large bowl and put dough into it. That will take about an hour. Punch down the dough. Let rest for 10 minutes. Divide the dough into 12 pieces and shape into balls. Grease a couple cookie sheets. Put the balls onto the cookie sheets and flatten the balls into buns about 4″ across. Cover and let rise for about 30 minutes until they are double in size. While the buns are in their final rise preheat your oven to 375 degrees Fahrenheit. Bake the hamburger buns for 12-15 minutes until golden in color.